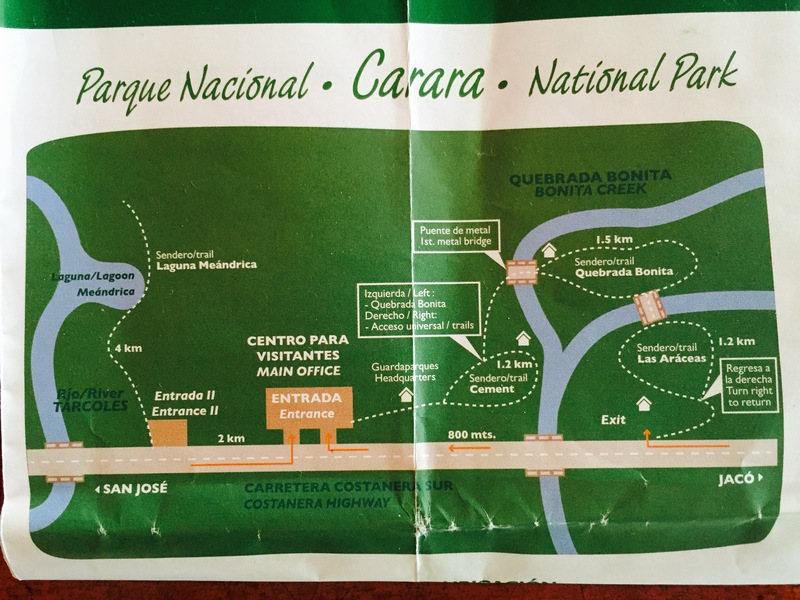 I have driven past Parque Nacional Carara many times, but never really thought to stop and check it out. Eloise and I decided to take a morning trip up to the park. I wasn’t expecting to see any wildlife, and decided to just go for some exercise. The one animal that all the guidebooks say is in and around the park is the Scarlet Macaw. We see about 14, or more, every day flying over our house here in Esterillos so that didn’t get me too excited. Ironically, we didn’t see a single Macaw! The main trails are a series of three loops. The first is a wide cement handicap accessible trail that has bathrooms midway through and benches periodically place along the sides of the trail. I spotted a beautiful pair of Slaty-tailed Trogons. The second loop, Quebrada Bonita, is a nicely maintained natural path that winds into the forest and meets up with the third loop, Las Araceas. Las Araceas was similar to the Bonita trail, but it had a couple longer steep stairs to climb. These stairs were moist and I spotted a black and neon green frog. Later, I discovered it was a poison dart frog. Yikes! We ended up hiking all three loops in just under an hour and a half. Carara has another trail, Laguna Meandrica that is about 4km. We will have to return for another morning hike session for that one. On the way back home we stopped in Jaco at the Taco Bar. The tacos were huge – it was a perfect meal after the hike.